Let’s face it, financial education is lacking. Many people leave home and enter their adult lives not knowing much of anything about money management, bank accounts, and budgeting, let alone investing. Often they do what their parents seem to do, which usually means making the same mistakes. Some get deep into debt or end up paying a lot of late fees and overdraft fees before they start to figure things out. To help those who are leaving home this Spring, or maybe who left home a little while ago but have been drifting aimlessly, here are sixteen steps that you should take. Do so, and you’ll set yourself up for financial stability. You’ll be in much better financial shape than your peers even in your twenties, and you’ll have a good shot at reaching financial independence by the time you reach your late forties or fifties. These steps should be followed in order, since the basics are covered first, then steps are put in place to reach greater and greater levels of security. 1. Create a budget for the month, with all income and all expenses. Make sure your income at least balances your expenses, cutting back if needed. Start to do this at the start of each month. 2. Create a yearly budget, then begin to track your total cumulative income and expenses as the year progresses. Make adjustments as needed to your monthly budgets to stay within your yearly spending goals. See if you can find ways to beat your yearly income goals. 3. Open a checking and savings account with a debit/check card attached. Make regular deposits into your checking account, siphoning off money into your savings account as you are able with your monthly budgets. Make a goal to save a specified amount each month. Start to track your net worth, which is your total assets (accounts, cash, cars, property) minus total liabilities (loans). 4. Save up $1000 in your savings account. This is a baby emergency fund that should only be used for things like emergency car repairs, critical medical needs, and to cover living expenses when between jobs. 5. 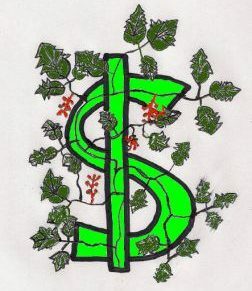 Grow your income until your free cash flow, which is your income minus your expenses, exceeds $100 per month. You can also cut expenses, but focus on growing your income since that is where you can improve your standard of living. 6. Save $5,000 in your savings account for an emergency fund. Change to a money-market fund if available. 7. Start an IRA (individual retirement account) with Schwab or Vanguard and fund it with at $1,000 per year. This is the start of your retirement savings. If you have a 401k plan at work, start investing there enough to receive any company match of your contributions, then start funding an IRA up to your $1,000 per year goal. Invest the first $1,000 in a Large Cap Index fund, then the next $1,000 in a Small Cap Index Fund. Keep alternating between these funds. Add an International stock fund when you reach about $10,000, putting about $2,000 in that fund and then keeping 20% in the international fund from then onwards. 8. 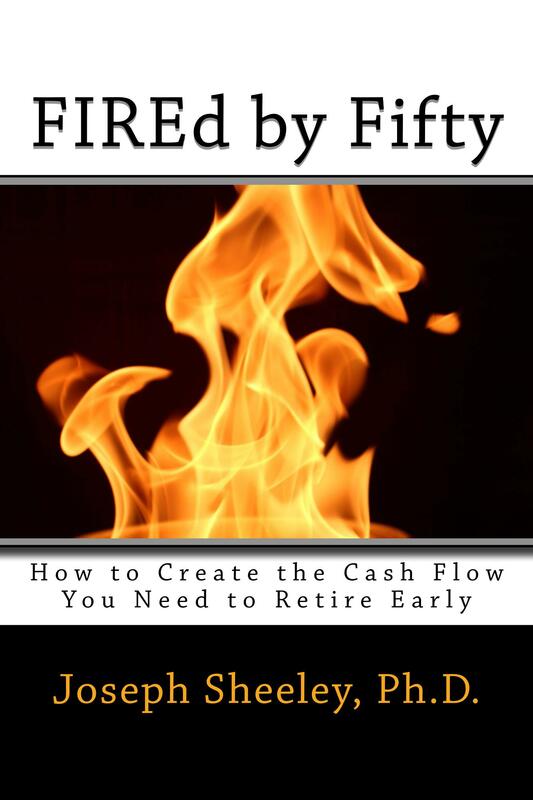 Grow your free cash flow, after retirement savings, to $300 per month. 9. Save up a full emergency fund, which is 3-6 month’s worth of expenses. Place about a third of the savings into a CD to increase your interest income. 10. Grow your free cash flow to $1,000 per month. 11. Fully fund an IRA at $5500 per year, or fund a combination of a 401k and an IRA to capture the company match. Continue to increase contributions until you are investing 15% of your gross yearly income. 12. If you have dependents, purchase a term-life insurance policy with a face-value of 10x your annual income. Purchase one for $300,000 for a non-working spouse who is taking care of the children. 13. Create a full cash-flow plan. This is like a budget, but includes savings accounts for large purchases like home down-payments, home upgrades/repairs, new used cars, and critical investments like children’s college accounts and health savings accounts. Determine how much you’ll need to save each year to cover the purchase when it will be needed, put the items into a list by priority, then use free cash flow to cover each one as possible on down the line until you run out of free cash flow. This money should be invested in stock index funds in a taxable brokerage account. Also, start putting money away into vacation funds which grow each year with a portion used for vacations and other luxuries. 14. Grow your free cash flow to $3,000 per month. This includes income generated by your large-purchase investment funds. 15. Fully fund all large-item purchase accounts listed in Step 13. 16. Start investing additional free cash flow into income producing assets. Use this income to increase your income. Eventually, income produced by these assets, along with your large purchase investments, will be enough to cover your expenses. At that point, you’ll be financially independent. Next If You Want to Be Wealthy, Where Should You Be Financially at 22? I love the idea of increasing free cash flow – it’s one of those things that’s easily neglected but an essential for financial independence. PS – new site layout is nice!